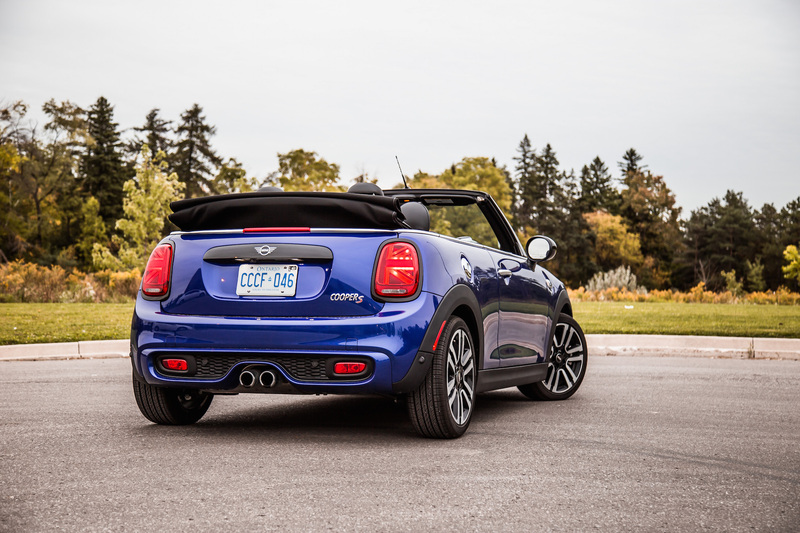 I have driven more MINIs than I count with two hands, but the Cooper Convertibles have always been my favourite. 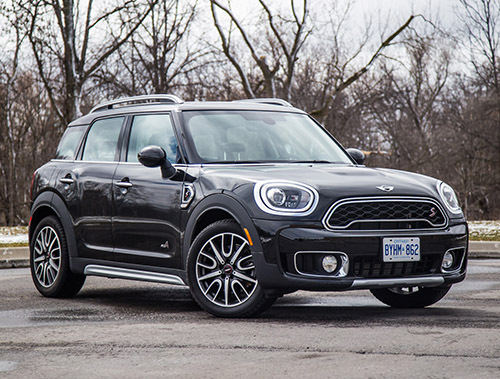 They ooze with character and personality, can be driven year-round, and are a fairly inexpensive way of getting into a small hatchback convertible replete with zippy driving dynamics and a premium badge. 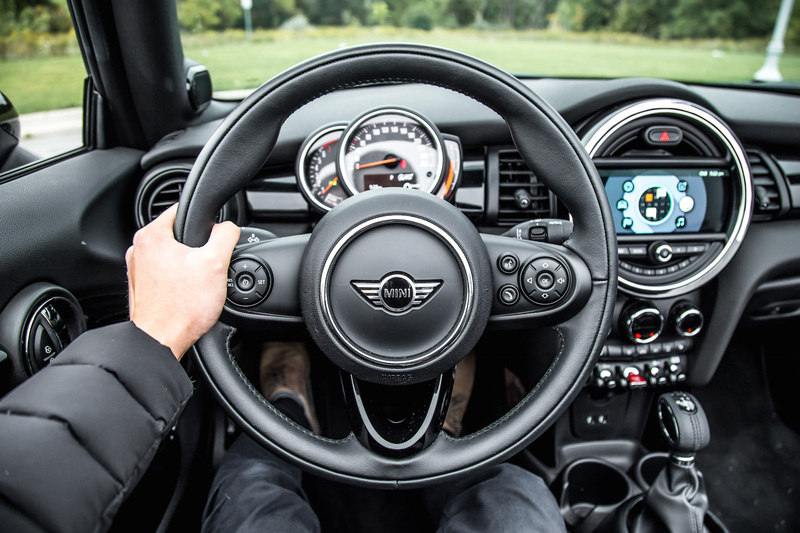 From the way the fabric roof folds into a Golgi apparatus to the exhaust that sounds like a popcorn machine nuking up the kernels, these MINIs have me hooked and constantly finding excuses to get behind the wheel and find another curvy road to tackle. 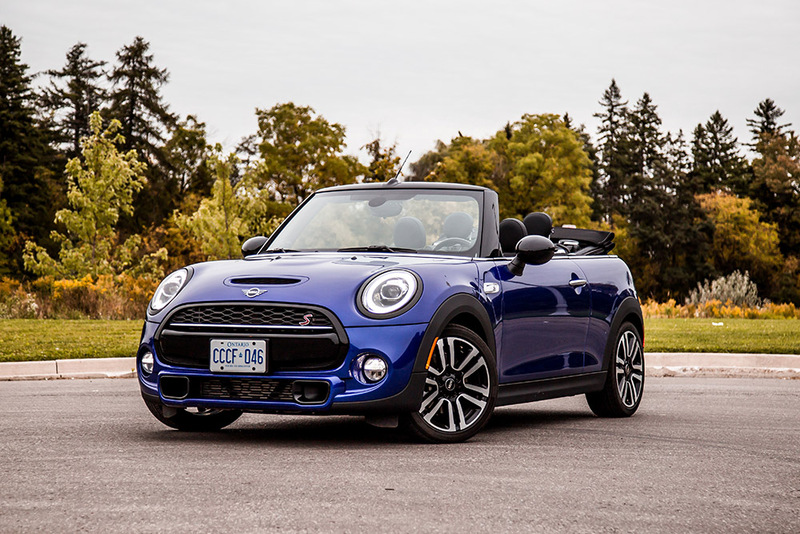 So when the folks at MINI Canada asked me if I wanted to take their newest MINI Cooper S Convertible out for a spin, I couldn’t refuse. 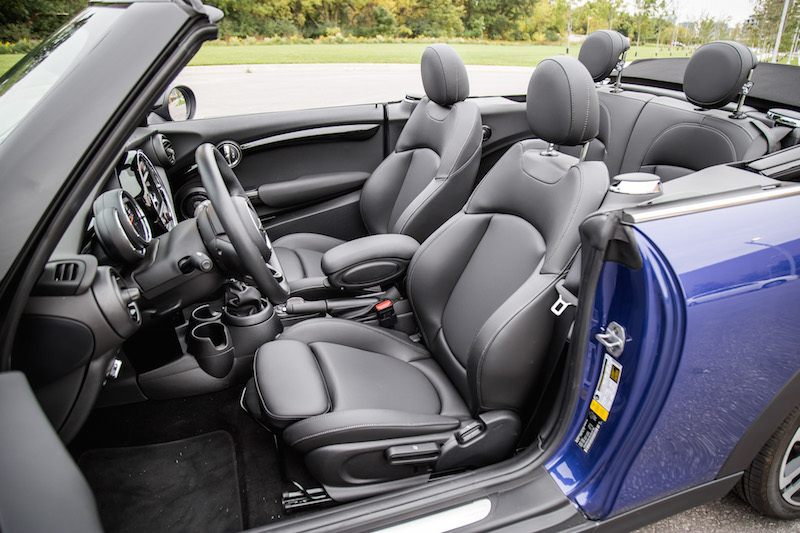 This specific 2019 model is the Starlight Blue Edition, a special edition model that costs $2,900 and adds unique aesthetics that you can’t get on any other MINI. 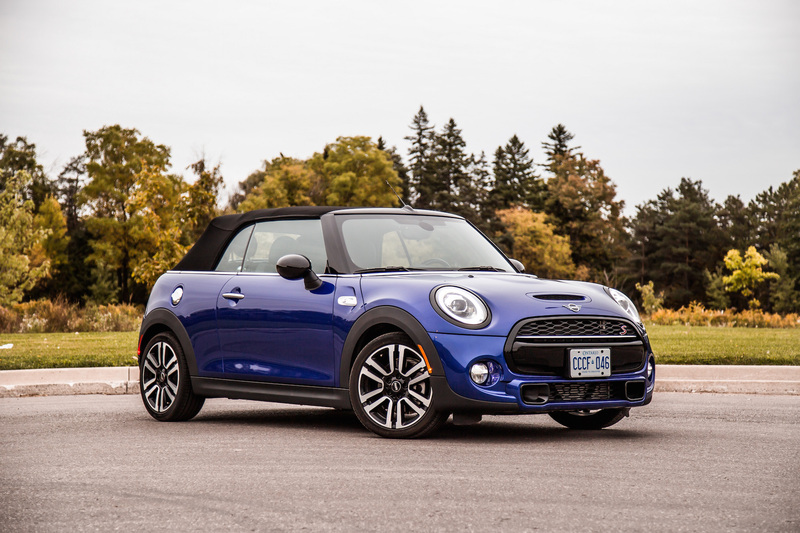 This includes the Starlight Blue paint colour you see in our photographs, exclusive 17-inch wheels with all-season run-flats, and piano black surrounds for the headlights, taillights, and front grill. 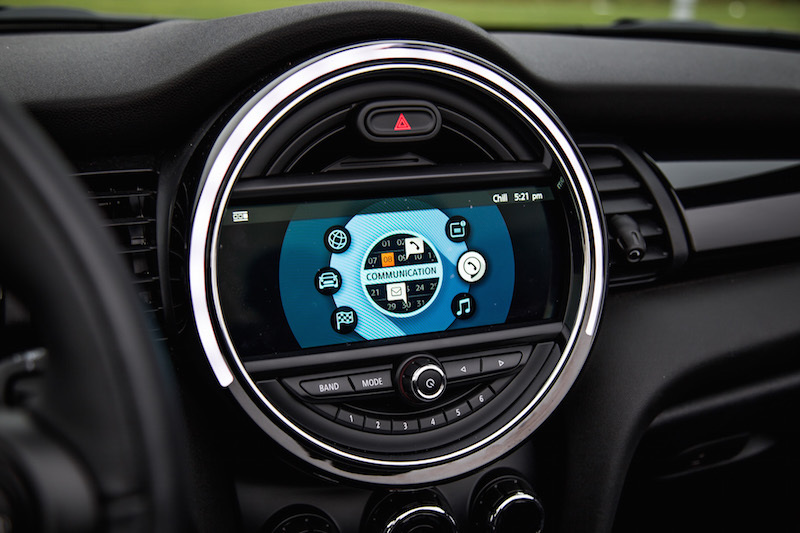 This is in addition to other features like heated front seats, LED fog lights and headlights with cornering function, Sirius XM radio, Harmon Kardon sound system, and navigation. The Starlight Blue paint is very similar to the San Marino Blue in the BMW M6 and Marina Bay Blue in the BMW M5. It showcases deep hues of blue and purple, and glows differently under changing lighting conditions. It fits well on this Cooper S, and appears stylish and premium without coming off as gaudy. 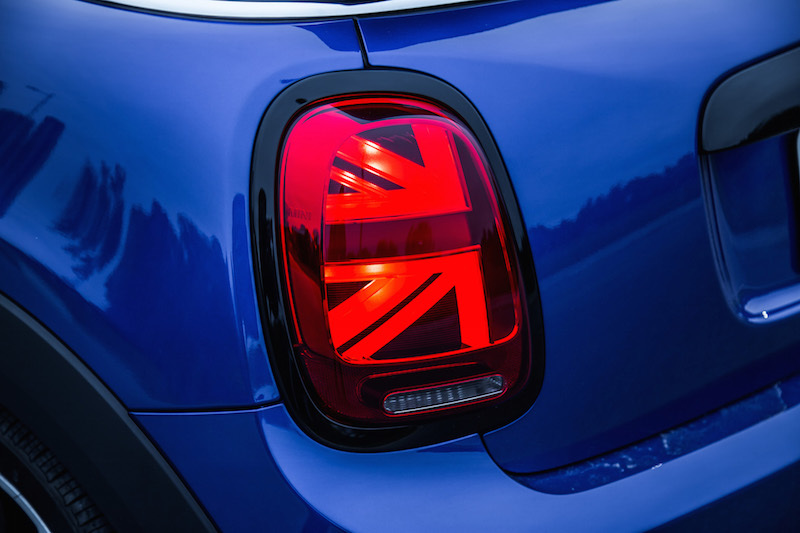 The new-for-2019 taillight design is also a neat touch, as it will now light up in the shape of the Union Jack. Very patriotic, and speaking of that and in true MINI customizable tradition, you can place a Union Jack pretty much anywhere from the top of the fabric roof to the side mirrors. 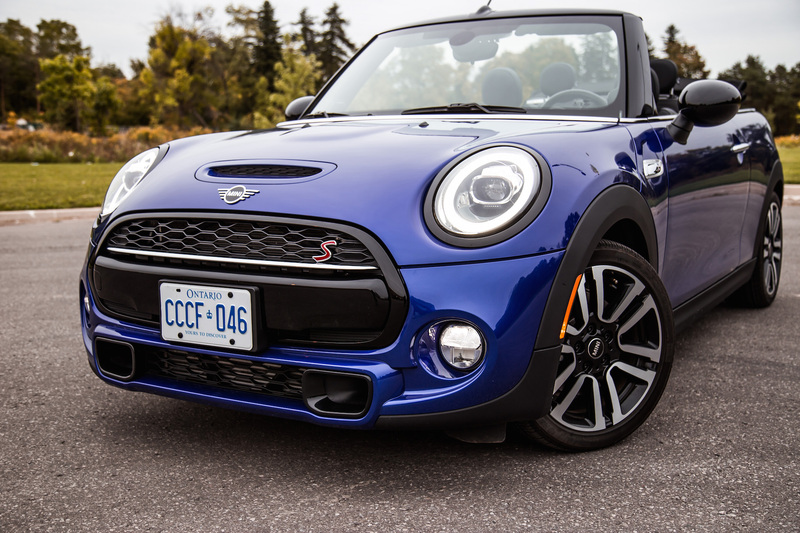 This special edition does not contribute anything to the performance of the Cooper S, but I’ll give you a quick rundown of what it’s like to drive. 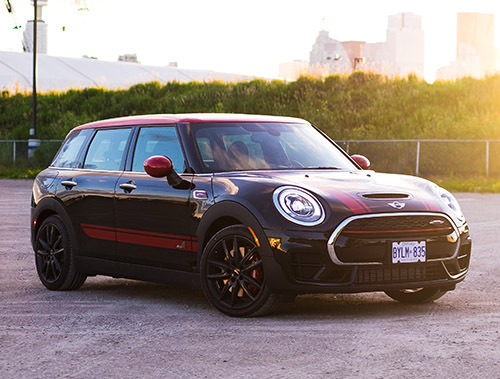 You can read our full reviews of the Cooper S hardtop, John Cooper Works Convertible, and John Cooper Works Clubman here. Underneath the hood is a 2.0-litre turbocharged four-cylinder that loves to rev. There’s proper low-end punch but it really comes alive when you wring it out past 4,000 rpm. The exhaust entertainingly crackles and pops on overrun, and is even more pronounced with the roof down. It’s not excessive like the BMW 440i with the M Performance Exhaust, but more calculated and precise. Sacrificing a fixed roof comes with the many benefits of sun-kissed skin, the feeling of wind blowing through your hair, and a healthy dose of Vitamin D, but it also comes with a few penalties to the driving experience. 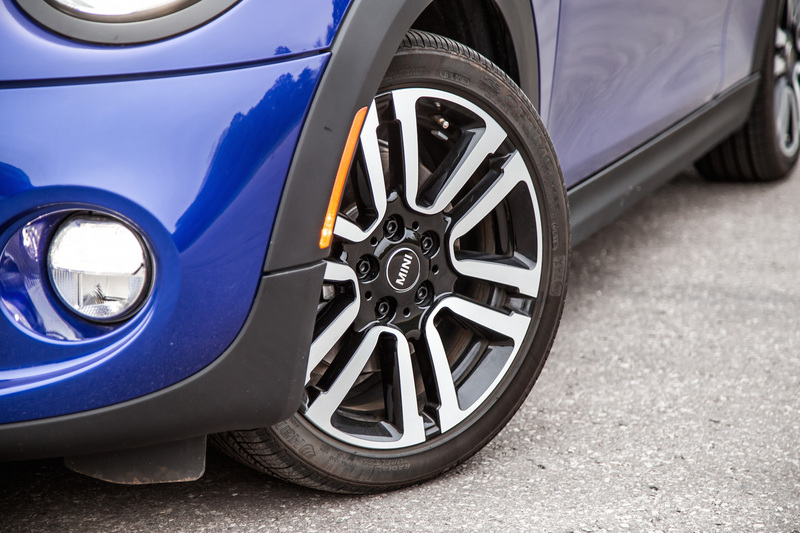 Without a fixed roof to keep the structure firm and rigid, the Cooper S shimmies and wiggles about when you roll over potholes. It’s not even close to being as stiff as the regular Cooper S, and the chassis doesn’t settle very well after being disturbed. The body doesn’t feel as controlled when taking corners at higher speeds either and gets rather jumpy, like it’s always on the tip of its toes. 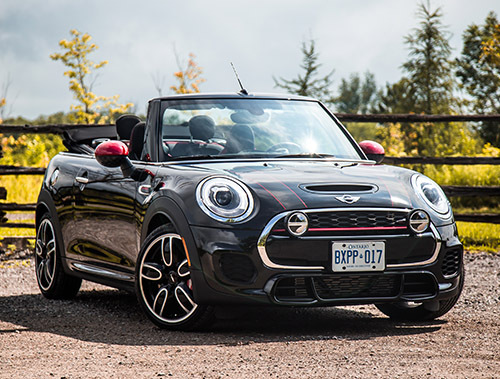 Outside of a track or on smooth highway roads, these detriments are less pronounced, and in the grand picture of what this MINI is meant to do - cruise with the top down - it’s a small sacrifice. 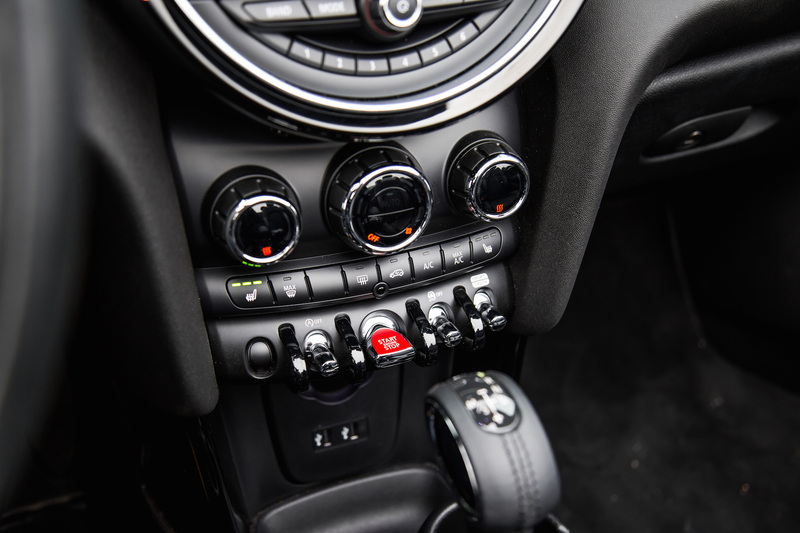 The interior houses a characterful design that will look familiar to anyone who has seen a modern MINI. A few things stood out to me, like the window switch that operates all the windows at once, so you can pull them all down in a pinch, or vice versa. This really comes in handy in summer weather when you want to instantly air out the cabin. You can open the roof halfway for a makeshift sunroof too, though the wind buffeting is intolerable at speeds over 60 km/h. A few things I didn’t like: there is no keyless entry on this spec. 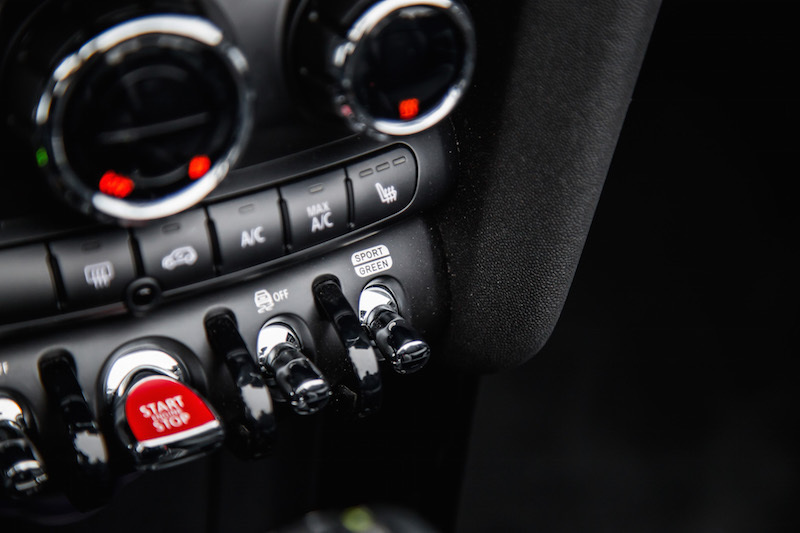 For 2018 and 2019, the switch to activate Sport Mode is no longer done by rotating the base of the gear shifter - it’s now just a toggle switch on the far right side under the fan controls. That means it’s hard to reach on a whim, especially when you want to suddenly speed up or if anticipating a quick corner burst. 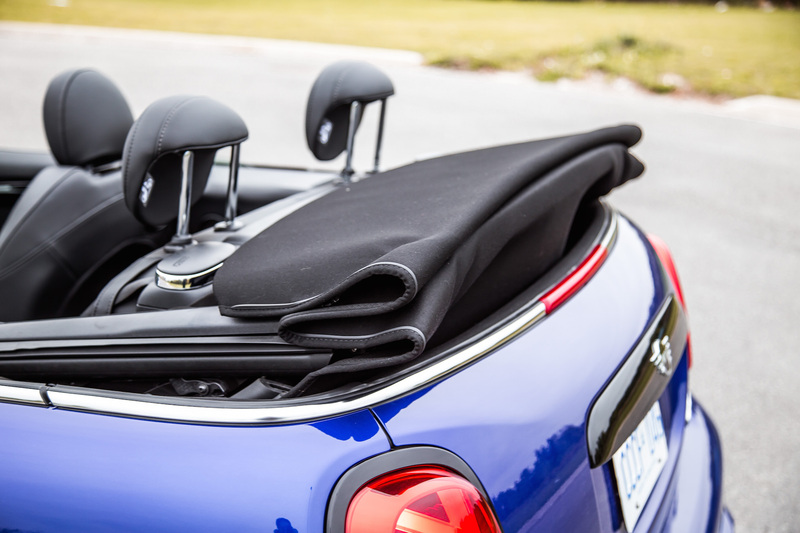 The view out the rear changes when the roof folds down too, as the fabric top bunches up and obstructs your vision. I never liked MINI’s center armrest either. 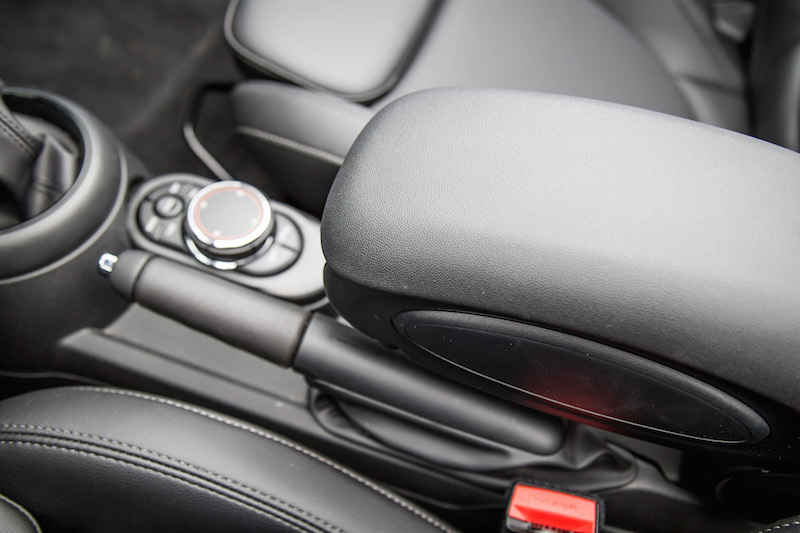 It’s perched too high up and won’t adjust very far due to the handbrake lever getting in the way. 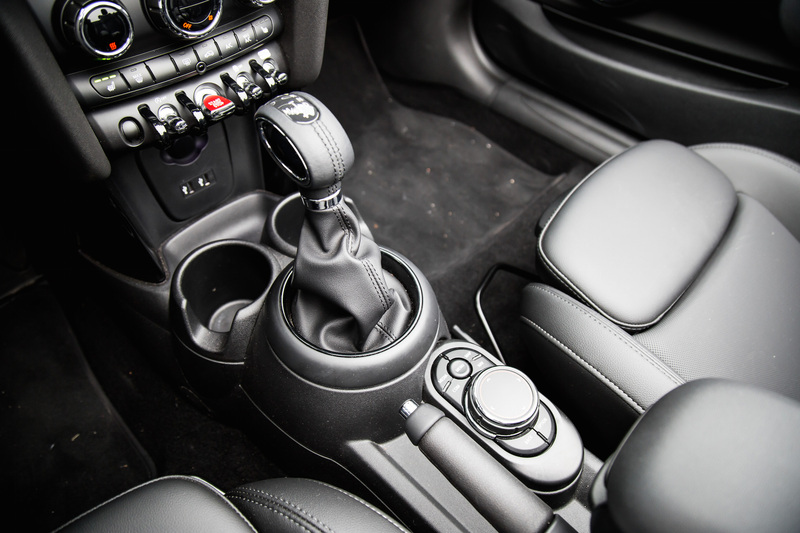 It’s not too intrusive on this automatic transmission model but for those who opt for the manual, watch your funny bone when wrestling the shifter. 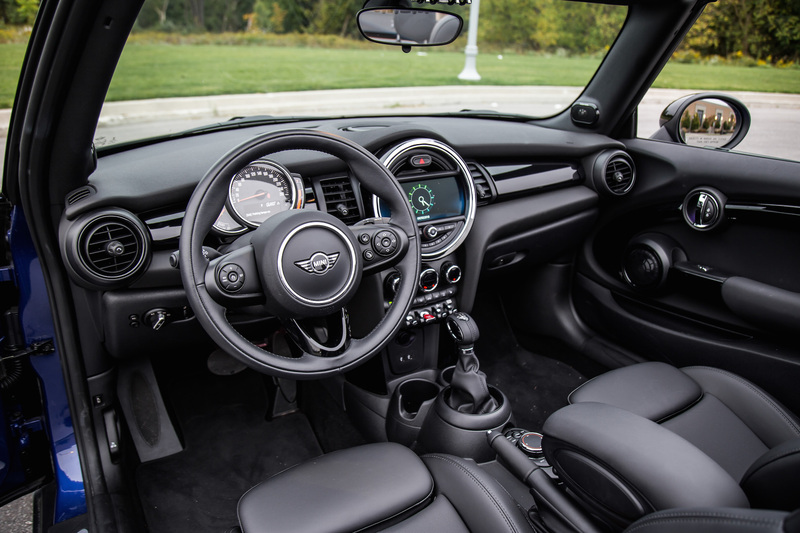 For those buyers who can’t see themselves behind the wheel of a small Chevrolet hatchback, and the Tesla Model 3 is out of their budget, the MINI isn’t a bad way to go. The Cooper offers all the thrills you need in the S model, and without many compromises in the convertible trim aside from the aforementioned structural rigidity that I doubt most owners will find bothersome outside of rough roads and track use. 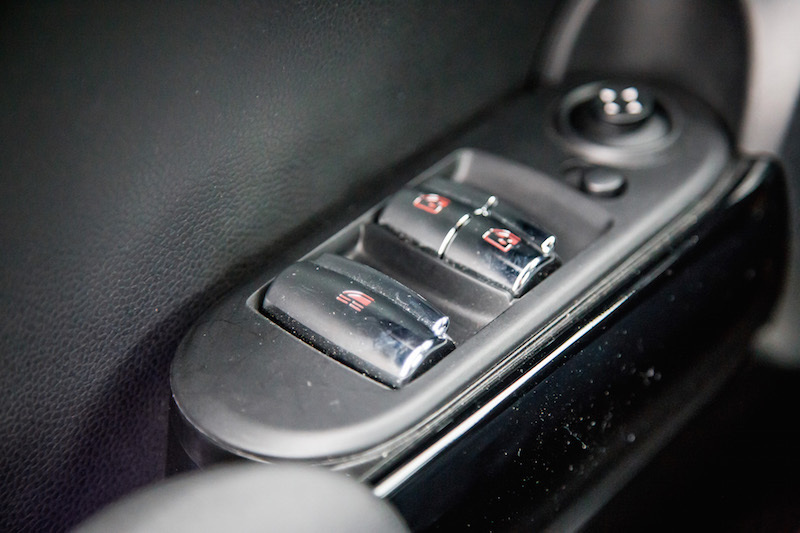 Personally, I would still opt for the non-convertible model with a manual transmission. Though these MINIs come with a few ergonomic foibles, and the price can rack up rather quickly when ticking its endless options list, they’re all proper fun and not one of them have failed to summon a smile from the driver, and that’s what driving should really be all about.